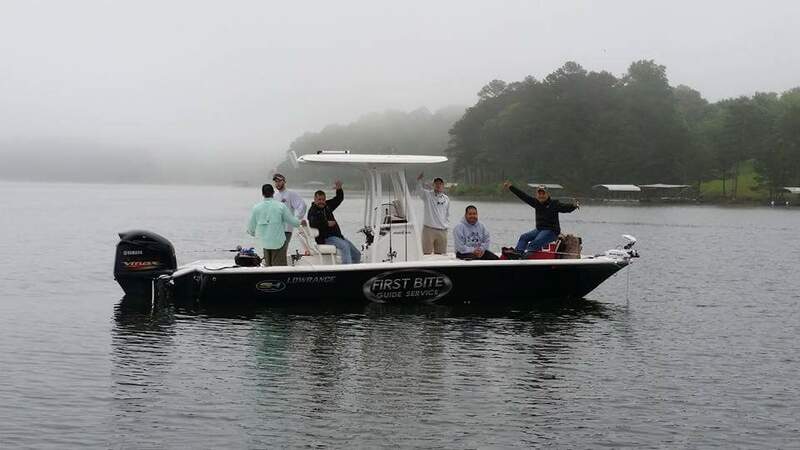 Carters Lake Fishing Charters is your Premier guide service for Carters Lake and Lake Allatoona. 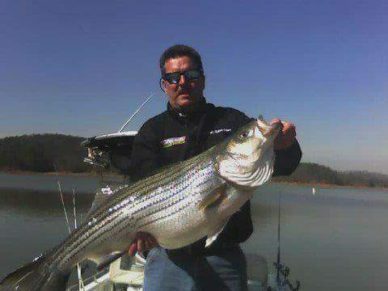 Hi, I’m Robert Eidson and I operate Carters Lake Fishing Charters. 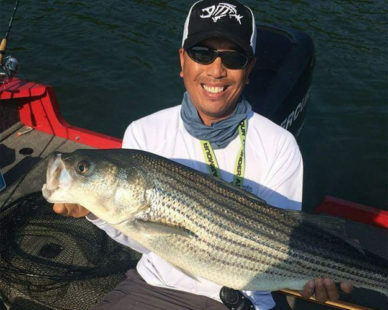 I have been a fishing guide since 1996. We are a full time guide service. We run four boats here in Metro Atlanta. We are invested in making sure our clients get the quality service they deserve when hiring a guide service. 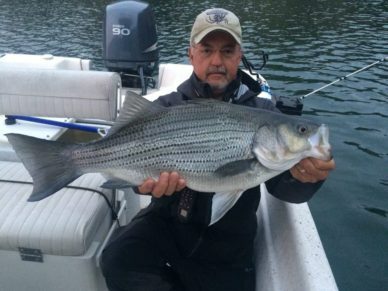 Carters Lake Fishing Charters has held the lake record for Hybrids on Carters Lake on three different occasions in the past five years. The best part of it is that all of our clients where under the age of 15. Carters Lake embraces a spectacular tract of foothills scenery in the Blue Ridge Mountains of North Georgia. 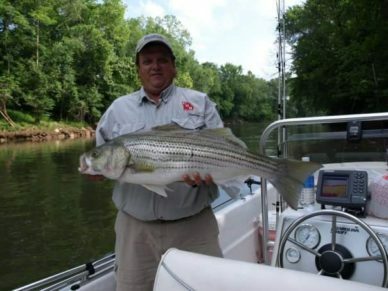 Its sparkling waters and rugged shoreline provide a beautiful surrounding for a variety of recreational opportunities which include camping, fishing, picnicking, boating, mountain biking and hunting.